Fierce All Stars is very proud to have the best Special Needs teams in The Inland Empire. The Lucky Katz are a crowd favorite where ever they go. 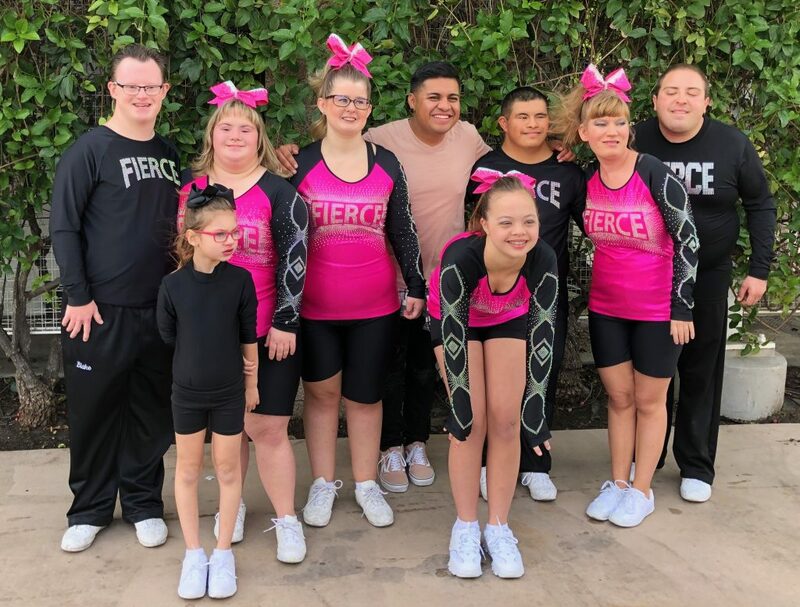 The team has experienced great success on the competition floor performing in front of thousands as well as member of the first ever World Games Special Olympic’s cheer team . These athletes have put their heat and soul into their team. They are dedicated to pushing themselves to to new hight each week . The Lucky Katz team has grown stronger and more competitive each year since its inception in 2008. Fierce believes that everyone has the right to experience the magic of all star cheerleading and Fierce Lucky Katz is a great team to begin that experience. We are incredible proud of the a complements of all the Athletics that that have been a part of this program.